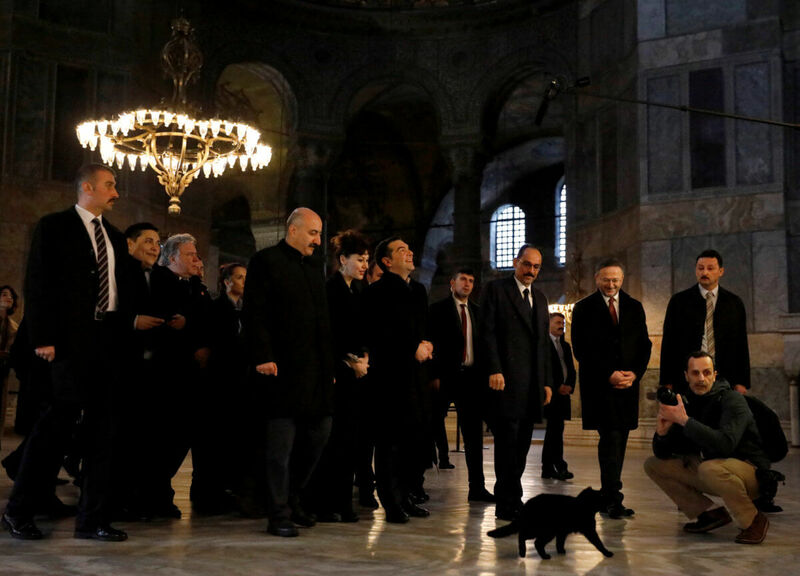 Black cat accompanies Tsipras in Hagia Sofia. Bad omen for Greece's PM? 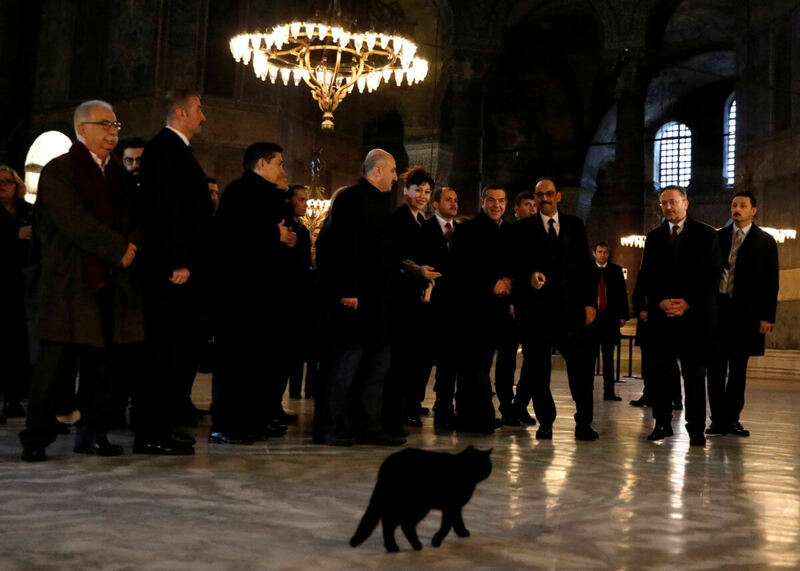 Home / News / Politics / Greece / Black cat accompanies Tsipras in Hagia Sofia. Bad omen for Greece’s PM? Greek Prime Minister Alexis Tsipras arrived short before 9 o’ clock in Hagia Sofia, the cradle of Orthodoxy in Istanbul. Security measures were tight, nobody was allowed to enter the impressive Byzantine Church turned into Museum, with exception of Tsipras’ delegation, Turkish officials, one tourist guide and a …black cat. The cat followed with the usual feline curiosity the delegation touring Hagia Sofia. At some point, the animal sat down and carefully listened to the guide explaining to Greek Prime Minister the magnificent architecture and wall paintings. 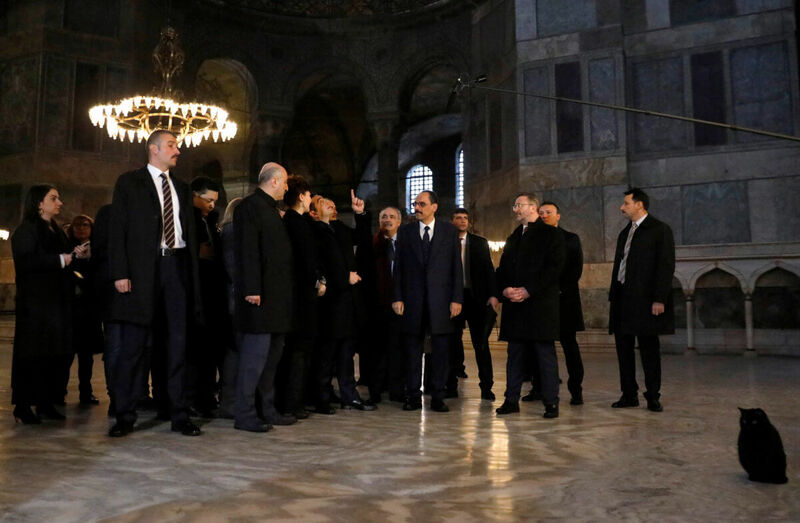 The delegation got aware of the black cat, it was only the Greek Prime Minister looking up into God’s wisdom, as the name Hagia Sofia means. 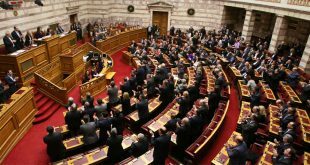 Tsipras kept looking up to the ceiling, maybe in an effort to ignore the black cat that is defined as a bad omen when it comes to superstitious beliefs. However, the Turkish officials interrupted Tsipras’ contemplation and pointed out at the feline. 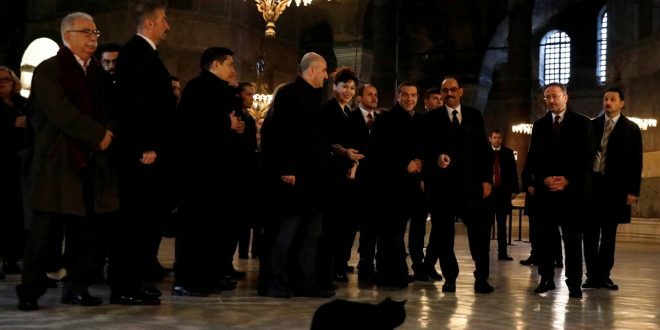 Turkish media wonder “What was the black cat doing in Hagia Sofia?”, while Greek media wonder whether it is a bad omen for the Greek-Turkish relations. Superstition here or there and different cultural approach, Greeks believe that when a black cat crosses your way it means bad luck. The next elections will show, whether the Turkish black cat was trying to warn Tsipras. The black cat is a sign that Mr Tsipras wiil be booted out by the Greek citizens for being a traitor to them and their country. Maybe the black cat wanted to tell them that their common enemies are Brussels and Washington, not each other.